So you’ve decided to buy that special someone on your holiday shopping list a brand-new Mac. Hooray! A new Mac is guaranteed to put a very big smile on your recipient’s face. However, you might have a look of confusion as you try to decide which Mac you should buy. Fortunately, we’ve tested them all, from the $999 MacBook to the $4999 Mac Pro. We’re quite familiar with Apple’s Mac line, and we’re here to offer our assistance. In this buying guide, we’ll cover all the Mac models available, tell you how they differ from their respective previous models, and show you how well they did in our benchmark tests. If you want to read the full review for each Mac, just click on the “Read our complete review” links. We’ve also provided links to help you find the best prices. If you’re interested in more personal advice—opinions on each Mac model from people who use them daily— read Mac buying guide: Which Mac is right for you? Six Macworld editors and contributors talk about what they do and how that influenced their buying decision. The MacBook was updated in May, and the changes were welcome but not dramatic--a better processor, improved battery life, a trackpad with support for inertial scrolling, a Mini DisplayPort that supports both audio- and video-out with a compatible third-party adapter, and a new graphics chip. Other than that, this year’s MacBook is similar to its predecessor. It still has the unibody white plastic case and a nonremovable battery. And it’s still $999. Previous MacBook models did not have FireWire; that’s still true with the current MacBook. It has two USB 2.0 ports for connecting a hard drive, a mouse, a camera or another peripheral. It also has a gigabit ethernet port, Wi-Fi, and Bluetooth. Performance: Since the changes were relatively minor overall, the new MacBook provides a slight performance boost over its predecessor (2.4GHz in the new, compared with 2.26GHz in the old). The current MacBook’s GeForce 320M graphics chip does provide a significant boost over the GeForce 9400M used in the older MacBook. Compared with the 13-inch 2.4GHz Core 2 Duo MacBook Pro, the MacBook was as fast as the MacBook Pro in many of our benchmark tests. Macworld’s buying advice: People love the MacBook because it’s affordable and performs well for general purpose tasks. If you need FireWire or perform processor-intensive tasks on a regular basis, you might want to consider a MacBook Pro. For a more personal account from a MacBook user, read Blair Hanley Frank's explanation as to why the MacBook is the ideal computer. It’s an affordable Mac laptop that does everything you need without sacrificing quality. The aluminum unibody design of the MacBook Pro hasn’t changed since it was introduced in 2008. Like the MacBook, the major changes are to internal components. The 15-inch MacBook Pro models upgraded from Core 2 Duo processors to Core i5 and Core i7 processors. The 17-inch MacBook Pro upgraded from a Core 2 Duo processor to a Core i5 processor. And both the 15- and 17-inch MacBook Pros feature both an integrated and a discreet graphics processor with new automatic graphics switching technology that decides when to seamlessly switch from the energy-saving integrated graphics to the more powerful discrete graphics processor. This year’s 13-inch MacBook Pros, like last year’s models, use Core 2 Duo processors, though the processors in this year’s models are faster than those of its predecessors. The 13-inch MacBook Pros still use an integrated graphics processor, but the Nvidia GeForce 320M replaces the GeForce 9400M found in the older model. There are three 15-inch models. For $1799, you get a 2.4GHz Core i5 processor, a 320GB hard drive, and an Nvidia 256MB GeForce GT 330M discreet graphics chip along with the integrated Intel graphics. (Get best current price.) The next model up (at $1999) has the same graphics as the $1799 model, but with a 2.53GHz Core i5 processor and a 500GB hard drive. (Get best current price.) The high-end 15-inch MacBook Pro has a 2.66GHz Core i7 processor, a 500GB hard drive, the Nvidia GeForce GT 330M discreet graphics chip with 512MB of video RAM, and the integrated Intel graphics, all for $2199. (Get best current price.) All of the 15-inch models have 4GB of RAM. The 15- and 17-inch MacBook Pros are the only laptops in Apple’s lineup that have a high-resolution antiglare screen option available. It’s an extra $150 for the 15-inch MacBook Pro, and an extra $50 for the 17-inch MacBook Pro. Performance: The 15-inch 2.66GHz Core i7 MacBook Pro was the fastest in our Speedmark 6.5 testing. The $1499, 13-inch 2.66GHz Core 2 Duo MacBook Pro offers performance that’s similar to the $1799, 15-inch 2.4GHz Core i5 MacBook Pro. Relative to the performance of the 15- and 13-inch MacBook Pros, the 17-inch model’s performance isn’t that impressive, but its big screen is a necessity for some users. The $1199 13-inch MacBook Pro’s performance is just slightly faster than that of the MacBook. When you’re deciding between the MacBook and the 13-inch MacBook Pro, the decision comes down to FireWire, and, to a lesser extent, your preference for plastic or aluminum. Macworld’s buying advice: If you’re on a budget and you’re waffling between the $999 MacBook and the $1199 13-inch MacBook Pro, consider shelling out the extra $200 for the Pro. The extra cash will buy you features the MacBook doesn’t have: FireWire, an SD card slot, and more RAM. If you need the fastest MacBook Pro, the 15-inch 2.66GHz Core i7 MacBook Pro is what you’re looking for. Here's a more personal account as to why you should buy a MacBook Pro. It's the ideal Mac for anyone who demands processing power while out and about. When the new MacBook Air was released in October, it had been well over a year since Apple’s ultraportable line of laptops had seen an upgrade. Fortunately, the upgrade did not disappoint. Apple introduced a new 11-inch MacBook Air along with an upgraded 13-inch model. The MacBook Air now features a thinner, lighter design and flash storage instead of hard drives. Configurations: There are now four MacBook Airs to choose from--two 11-inch models and two 13-inch models. All come standard with 2GB of RAM and Nvidia GeForce 320M graphics. 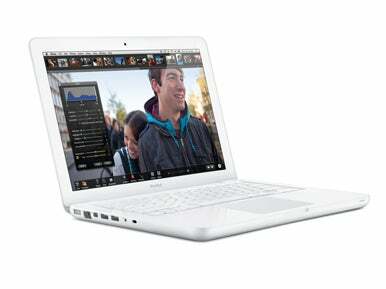 The entry-level 11-inch MacBook Air has a 1.4GHz Core 2 Duo processor and 64GB of flash storage for $999. (Get best current price.) The other 11-inch MacBook Air has the same processor and has128GB of flash storage for $1199. (Get best current price.) Both 11-inch models feature a high-resolution LED backlit glossy display with a 1366-by-768-native resolution. Like the 11-inch MacBook Air, the only difference between the two 13-inch MacBook Air models is the amount of flash storage. Both 13-inch models feature a 1.86GHz Core 2 Duo processor, but the $1299 13-inch MacBook Air (get best current price) has 128GB of flash storage, while the $1599 13-inch MacBook Air (get best current price) has 256GB. 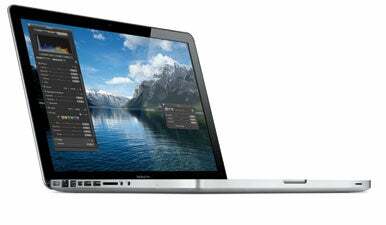 Performance: The flash storage and the Nvidia GeForce 320M in the MacBook Air helps boost the laptop’s performance. The 11-inch MacBook Air is the slowest Mac in Apple’s lineup, but it’s still a vast improvement on last year’s 13-inch MacBook Air. The 13-inch MacBook Air, which has the same 1.86GHz Core 2 Duo processor as last year’s 13-inch MacBook Air, doubled the performance of its predecessor. Macworld’s buying advice: The MacBook Air may not be an impressive speed demon, but it’s fast enough for general-purpose use—Web access, e-mail, office software, and even light image and video editing. The MacBook Air is all about portability, and the 11-inch MacBook Air is especially appealing for on-the-go users. Macworld Editorial Director Jason Snell is a strong proponent of the MacBook Air. Find out why he’ll take a tiny, light laptop over a full-size, heavy one every time. The Mac mini went from two models last year to a single model this year. It also had a major redesign; an all-aluminum unibody case replaces the white plastic. The new Mac mini is much smaller than its predecessor, too. New features include an SD card slot and a power supply inside the computer itself—no more power brick. The Mac mini also has a removable bottom panel so you can upgrade the RAM yourself. Apple also offers a new Mac mini with Snow Leopard Server (get best current price) with a 2.66GHz Core 2 Duo processor and a pair of 500GB hard drives that you can configure as a RAID. This model doesn’t have an optical drive. Configurations: The $699 Mac mini has a 2.4GHz Core 2 Duo processor, a 320GB hard drive, and Nvidia’s GeForce 320M graphics. (Get best current price.) You have to supply your own keyboard, mouse, and display. The Mac mini has both Mini DisplayPort and HDMI connectors, and Apple includes only an HDMI-to-DVI adapter. Performance: The Mac mini, with its 2.4GHz Core 2 Duo processor, is about 13.5 percent faster overall than the older 2.26GHz Mac mini model. In our tests, the new Mac mini kept pace with last year’s 2.53GHz model. Macworld’s buying advice: The Mac mini is a nice, affordable computer for new Mac users and shoppers on a budget. It has enough power for everyone except professionals who demand top performance. It’s even small enough to incorporate into a home entertainment center. Senior Contributor Kirk McElhearn ditched his gigantic 2006 Mac Pro for a Mac mini. And he’s smitten with Apple’s smallest desktop computer. Learn how he came to his buying decision. Apple’s all-in-one computer was updated in July with new processors and graphics chips. The iMacs are available with widescreen 16:9 displays at 21.5 and 27 inches. The iMac comes with Apple’s Wireless Keyboard and the Magic Mouse, but if you order online from the Apple Store, you can switch the keyboard to a wired version with a numeric keypad and switch the mouse to an Apple Mouse, both for no extra fee. You can also add Apple’s new Magic Trackpad for $69. All iMacs come standard with 4GB of RAM, a SuperDrive, Wi-Fi, Bluetooth, an iSight camera, four USB 2.0 ports, a FireWire 800 port, an SD Card slot, and built-in speakers. Performance: Our benchmarks show that the three new iMacs with the Core i3 processors are very close in performance. The speed difference between the three Core i3 iMacs and the 27-inch quad-core 2.8GHz Core i5 iMac is significant, however. In fact, the Core i5 iMac isn’t that far behind the entry-level Mac Pro in terms of performance. Macworld’s buying advice: Since their performance is similar, choosing between the two 21.5-inch iMacs comes down to the hard-drive capacity. The 27-inch quad-core 2.8GHz Core i5 iMac is obviously the one to get if speed is your top concern. In all, the iMac continues to be an attractive all-in-one computer for the family, home offices, and business. If you’re looking for a new Mac or you’re thinking about upgrading a desktop Mac that’s at least a couple of years old, you’ll be satisfied with the features and performance. Just a few years ago, an iMac was woefully inadequate for Senior Editor Dan Frakes. But boy, times have changed. Now he thinks that today’s iMacs are, for most people, no longer compromises.